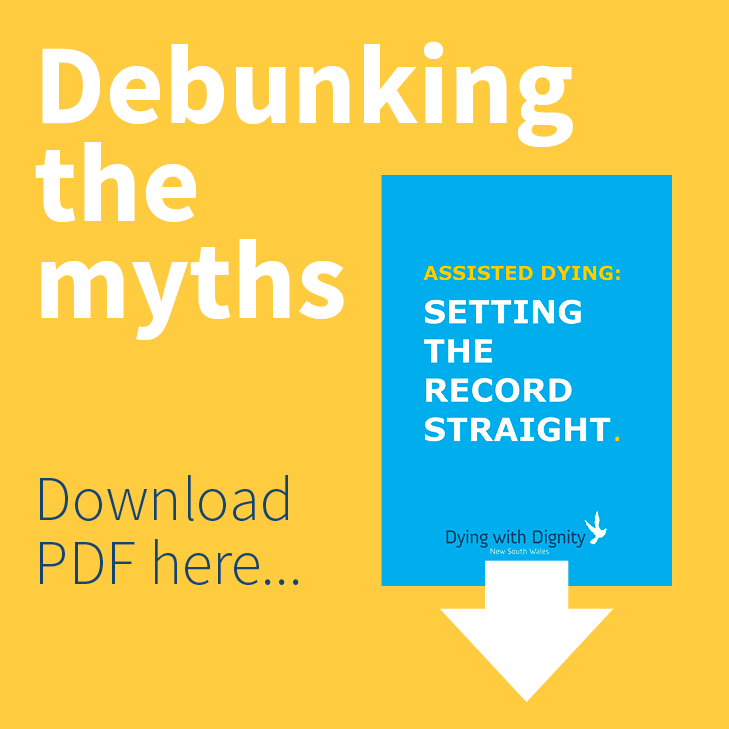 Dying with Dignity NSW does not have the experise to provide support and counselling to people who are suffering with terminal or chronic illness, but we appreciate the importance of getting this help. Support is also important for the families are carers of people who are suffering. Following is a list of some of groups that can provide help to people at this time. Beyond Blue is working to reduce the impact of anxiety, depression and suicide in the community by raising awareness and understanding, empowering people to seek help, and supporting recovery, management and resilience. Lifeline It is a national charity providing all Australians experiencing a personal crisis with access to 24 hour crisis support and suicide prevention services. Phone 13 11 14 available 24 hours a day. Bewteen 7 pm and 4 am they also have an Online Live Chat service for confidential one-to-one internet chat with a Lifeline Online Crisis Supporter. The NSW Mental Health Line is a 24-hour telephone service operating seven days a week across NSW. Carers NSW is based in Sydney, has a number of regional offices, and provides supports to carers across NSW. The Quest for Life Foundation was established in 1989 by Petrea King. Up until 1995 the Foundation was based in Sydney where it hosted hundreds of support and meditation groups for people living with cancer, grief, AIDS, depression, anxiety and other traumas as well as teaching programs. In 1995, Petrea and the work of Quest for Life moved to Bundanoon in the beautiful Southern Highlands of NSW. Feeling depressed? Have cancer or other chronic illness? Experiencing loss or grief? Then we can help by teaching you valuable life skills and strategies for healing and peace. ReachOut.com is a web-based service that provides practical tools and support to young people. Relationships Australia is a leading provider of relationship support services for individuals, families and communities. They are a community-based, not-for-profit Australian organisation with no religious affiliations, offering services around the country that include counselling, family dispute resolution (mediation) and a range of family and community support and education programs. Palliative Care NSW is the peak body and leading voice in NSW promoting quality palliative care for all. Palliative care addresses physical, psychosocial and spiritual needs for people with a life-limiting or terminal illness, so they can live their life as fully and comfortably as possible. public holidays (National and NSW): from 5pm the day before to 9am the following business day. HealthDirect is a government-funded service that provides 24 hour health information, including local service providers as GPs, psychologists, counsellors etc. Pain Management Network This government-sponsored website contains information to enable you to develop skills and knowledge in the self management of your pain in partnership with your healthcare providers. Painaustralia Limited is Australia’s leading pain advocacy body working to improve the quality of life of people living with pain, their families and carers, and to minimise the social and economic burden of pain on individuals and the community. MS is the preeminent source of information, advice and services for people living with multiple sclerosis. We’re a combined entity of ACT, NSW, Victoria and Tasmania with 60 years’ insight into how to live well with the disease. We are part of the national body, the Multiple Sclerosis Society of Australia (MSA). MS offers a suite of services and support to help minimise the impact of multiple sclerosis on your life and ensure your journey is not undertaken alone, while the search for a cure continues. Our service is for people living with the disease, family members, friends and carers. We also support health professionals providing care to people affected by multiple sclerosis. Cancer Council Australia – provides a confidential telephone support and counselling service (cost of a local call). When you call you will automatically be directed to the Cancer Council Helpline operating in your state or territory. Cancer Voices Australia is the independent, 100% volunteer voice of people affected by cancer, working to improve the cancer experience for Australians, their families and friends. We are active in the areas of diagnosis, information, treatment, research, support, care, survivorship and policy. To achieve this we work with decision-makers, ensuring the patient perspective is heard. The Heart Foundation Helpline provides free personalised information and support on heart health, nutrition and a healthy lifestyle. Parkinson’s NSW provides essential services to everyone who is affected by Parkinson’s such as Counselling, Support Groups, InfoLine, Neurological Nurses in the community – all free of charge! Huntington’s NSW is the leading specialist service in NSW that supports individuals impacted by Huntington’s disease. The Australian Huntington’s Disease Association (NSW) Inc. was established in 1975 to develop support and educational programs for people affected by Huntington’s Disease in New South Wales and the Australian Capital Territory; to assist their families to understand and cope; and to give these families a strong single voice. StrokeLine’s health professionals provide information and advice on stroke treatment, prevention and recovery. Kidney Health Information Service provides a free, national, phone support service for people living with and/or affected by kidney and urinary disease, via our Kidney Health Information Service (KHIS) line. The service offers information, support, referral and advice to both patients and their families and health professionals, and callers are directed to the most appropriate service to meet their needs. Lung Health Alliance is a collective of national respiratory not-for-profit organisations working together to improve the lung health of individuals and communities in Australia and to contribute to the global effort for lung health. The Asbestos Diseases Foundation of Australia (adfa) is a not-for profit organisation working to provide support to people living with asbestos related diseases, family members, carers and friends. Muscular Dystrophy Australia as an organisation was established in 1984 as a support group for individuals and families affected by Muscular Dystrophy. MDA is working towards a world without Muscular Dystrophy, whilst providing support and hope as an organisation respected by, and a proponent of, the Muscular Dystrophy community. ACON is a NSW-based health promotion organisation specialising in HIV prevention, HIV support and lesbian, gay, bisexual, transgender and intersex (LGBTI) health. Established in 1985 as the AIDS Council of NSW, we’re here to end HIV transmission among gay and homosexually active men, and promote the lifelong health of LGBTI people and people with HIV. Positive Life NSW provides information, targeted referrals and advocates to change systems and practices that discriminate against people with HIV, their friends, family and carers in NSW. Positive Life NSW works to promote a positive image of people living with and affected by HIV with the aim of eliminating prejudice, isolation, stigma and discrimination. Alzheimer’s Australia – We advocate for the needs of people living with all types of dementia, and for their families and carers, and provide support services, education and information.